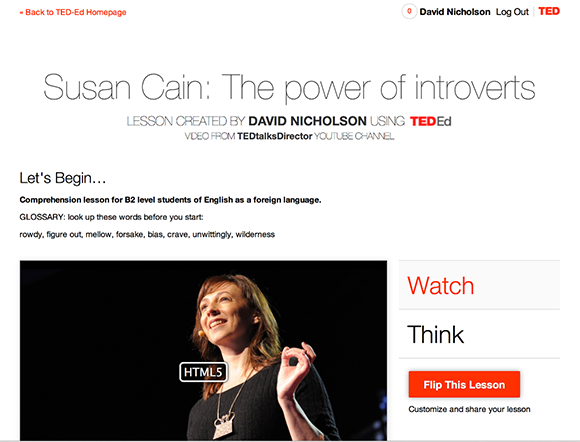 Last year I wrote about Susan Cain’s brilliant TED talk on empowering introverts. I have just used the same talk to make my first ‘flipped’ lesson on TED-Ed. A flipped lesson is one that has taken an existing video and used it for a new lesson and TED-Ed is a spin off from TED for specifically for flipped lessons. 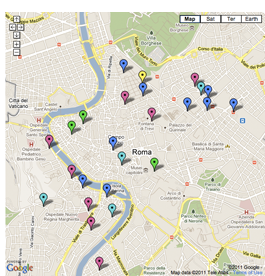 In this case I just added a glossary and some comprehension questions. Check it out here and give me some feedback.